Tencent has recently presented not one, but two official games based on PUBG to be released soon in China. 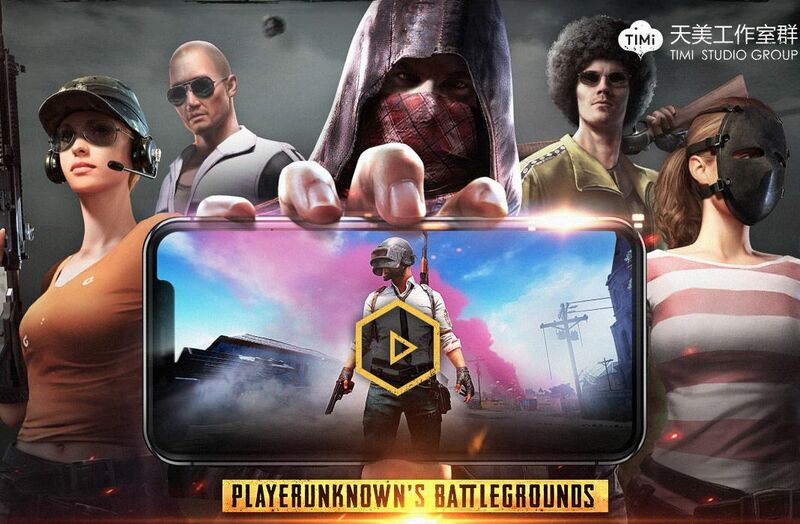 A few days ago it was confirmed that the Asian giant Tencent officially has the rights to PlayerUnknown’s Battlegrounds for its distribution in China, and has been working on an adaptation of the title from Bluehole for mobile devices. Then, on Friday at the Tencent Gaming Carnival event, it was revealed that they are working on not only one, but two titles based on the game, one of them in the form of a direct adaptation of the original game and another with lots of extras, including naval battles and more. At the event, they announced Tencent’s plans with the license, which include releasing the original game for PC with its own servers and local systems to motivate the community, strengthen the title like eSports, and prevent the use of cheats. Also, details were given about the two games that will be offered on mobile platforms and whose pre-registration processes are already active. The game, also known as PUBG Mobile game: Battlefield, will be published by Timi Studio and developed by some of the many internal studios. Blockbusters like Arena of Valor are in their hands, and in fact, they’ve already worked previously on titles of Battle Royale. There’s already an official website where you can pre-register to get some free items once it’s published, and also where you can watch an introduction trailer that offers some hints about what it will include, though without any in-game images. In addition to the weapons and two and four-wheeled vehicles, you also now have speedboats, tankers, helicopters, and even warships. The battles are between 100 players, and the setting is the equivalent of about 25 square miles. Both this game and the other one mentioned will be developed using Unreal Engine 4. We know a little bit more about the second game, given that we’ve had access to more multimedia content like the following trailer showing gameplay. This other version is much more similar to the original from Bluehole Studios, and is being developed by Lightspeed & Quantum Studios. So, you’ll get to experience deathly walks through the country, defending yourself with the classic unrelenting frying pan, and watching your efforts severed when a soulless enemy shoots you from 400 meters away, and the game ends dramatically. It also has an official website online where you can pre-register.